The tax credit certification numbers are provided by the Indiana Department of Revenue and must be included on your 2018 Indiana tax return to receive the state tax credit (see sample receipt letter below). Please remember that the amount of the credit is 50% of the contribution amount. 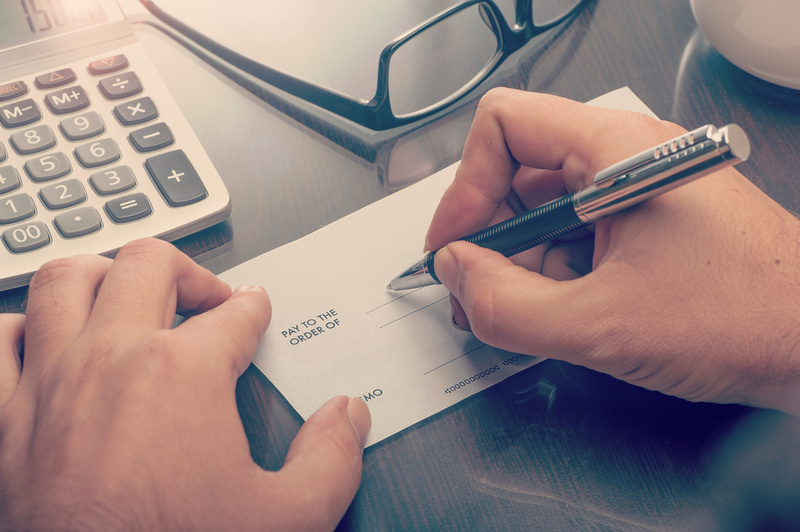 When filing your state return, your credit should be reported on line 7 of Schedule 6, and on Schedule IN-OCC 55629 with the certification number in column C (without hyphens) and the code number 849 in column D. Click here for a copy of Schedule IN-OCC-55629-2018. If your credits are greater than your state adjusted gross income tax (2018 IT-40, line 8), you may carry the unused amount forward to be applied to subsequent annual filings for up to nine (9) years. You may utilize any potential credits that you have carried forward from past years using these same instructions. The receipt letter you received can also be used to document your gift to Sagamore Institute when filing your 2018 federal tax return (see sample below). TIPS: The DOR has a couple of reminders when filing. 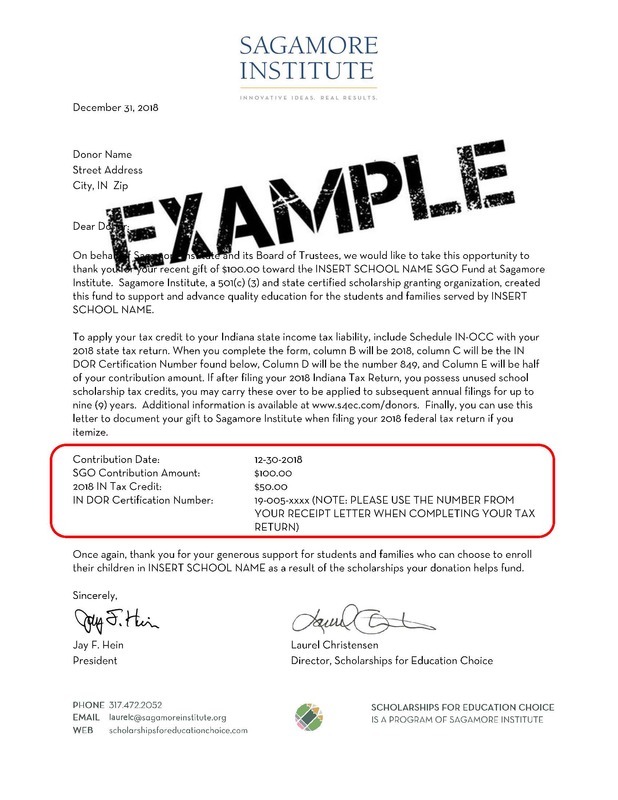 Be sure that the certification year is correct (for donations that are carried forward, this should be the year the donation was made rather than the tax filing year). Don't add the hyphens when you enter the certification number (Turbo Tax will not accept the number if there are hyphens). If your tax software only lets you enter one certification number and you have more than one, try switching to the "forms view" to enter the others. For step by step instructions click here: CLAIMING YOUR INDIANA TAX CREDITS – 2018.